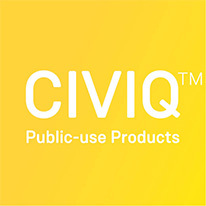 The Skateboard and Scooter Rack is a registered design with the capacity to hold 8 scooters or skateboards. It is simple and safe to use with no sharp or dangerous protruding sections. 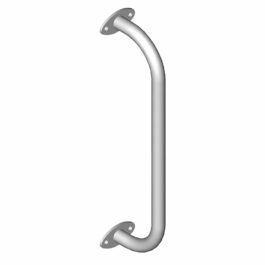 The fully welded construction gives it increased durability and vandal resistance. 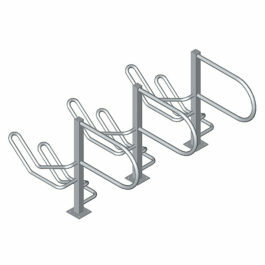 The rack stands 800mm high x 1200mm wide x 280mm deep. 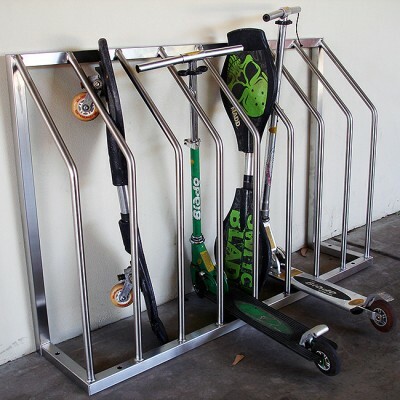 The Skateboard and Scooter Rack is a registered design with the capacity to hold 8 scooters or skateboards.